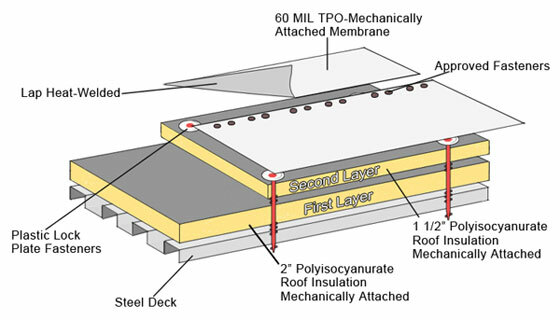 TPO roofing is a singly ply system based on advanced polymerization technology that combine the durability and weatherproof properties of ethylene-propylene rubber with the heat-weldable capability of polypropylene. TPO membranes will not host mildew, bacteria or algae, keeping reflectivity high, helping to reduce air conditioning loads and the urban heat island effect. TPO roofing systems come in wide sheets to help make installation faster and easier on new roof installations, flat roof replacements and re-roofing applications, resulting in fewer seams and less material. 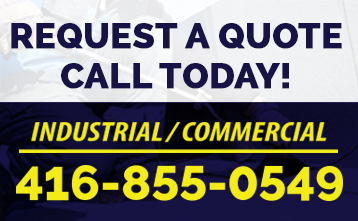 TPO resists mold growth, dirt accumulation, tears impact and punctures. Energy Efficient – keeps the interior thermally comfortable on hot summer days while reducing your air conditioning costs.